So you’re thinking of buying a new home– that’s great. However, it’s also a little scary, isn’t it? After all, this is one big– no, make that HUGE– purchase. In the process of looking for and then buying a home, you’re going to want to get all the details you can about the place you have in mind to call home for the foreseeable future. Moreover, one of those things to take a closer look at is the house’s roof. Did you know a house’s roof is one of its most expensive features? That makes sense, though, since it is what covers the place, keeping out the extreme weather. What are some things to consider about your new home’s roof before you sign the bottom line and buy the place? First, use your eyes to examine parts of the roof you can see from the ground. Look to see if it’s in great, good, fair or bad condition. You’ll know it’s in bad condition if you see colorful mold growing on it, or there are strange bulges where you don’t think bulges should be. Furthermore, notice whether shingles are missing– if they are, that’s a bad sign. If there’s a written record of the age of the roof, that’s important to know. Younger roofs are typically in better shape than older roofs. 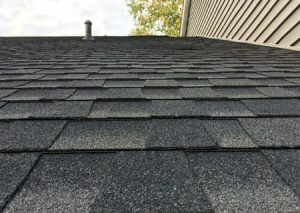 Next– and this is where you might need a professional like “Roofing By Bruce”– you’ll want to consider how well ventilated the roof is, as well as how well the roof’s seepage system functions. Basically, you want to know whether or not the rain that pours down on the roof can easily make its way off the roof via intact and properly functioning downspouts, gutters and drainage pipes. Also, have a professional inspect the hard-to-see areas for any leaks– in valleys, creases, chimney areas, plumbing vents, etc. Also, examine the home’s foundation and look for any unusual puddles of water right next to the base of the home. If downpipes are leaking or not working right, water could be pooling at the foundation walls, which could lead to foundation cracks and further problems. In the East Stroudsburg, PA region you can call Roofing By Bruce for help in determining the current state of a roof— the number is 570-424-7250. It’s highly recommended that you have the roof inspected before you buy a new house so you know its true condition.